Spring is in the air as we enter the month of March. It is also the month that Vermont celebrates the Maple Tree. Homeowner and Regime projects are currently being scheduled and the SNHA office has some dates we don’t want you to miss. Appliance Replacement Offer April/May – Are you looking to replace any or all of your appliances? Look no further than the Super Store of Williston VT! Kimberly Lasnier Kimberly.Lasnier@superstorevt.com will shop the spring deals for you and then take an additional 5% off of all new major appliances for SNHA homeowners. Deliveries will be coordinated through the SNHA office. Visit https://www.superstoreappliances.com/index.html or contact Kimberly directly at (802) 879- 4166. Water Heater Replacement Service – For those participating in the replacement service, payment commitments were due on March 1st. If you have been notified through the SNHA office that your water heater has passed its warranty lifespan and expressed interest in the service, please contact Tracy tracy@snha.net. Fireplace Clean/Inspection for Non-Renting Homeowners – Notifications went out to all non-renting homeowners and commitments to participate in the annual service are due March 15th. 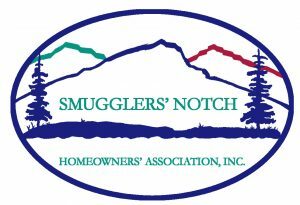 If you are currently in the rental program, your home has already been scheduled through Smuggs Maintenance. For more information or to sign up, contact Tracy tracy@snha.net. Bath Fitter Special – The spring Bath Fitter replacement offer that went out in last month’s message sparked quite a bit of homeowner interest. Site reviews are in full force. If you are interested in replacing either your bath tile or both tub and tile, please contact Tracy tracy@snha.net as this package discount of 10% up to $450 offer expires on April 15th.